Kryptonian Warrior: First Look - Booster Gold & Blue Beetle In Smallville! 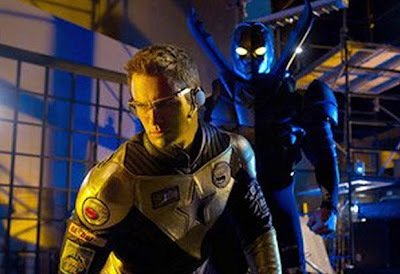 First Look - Booster Gold & Blue Beetle In Smallville! An upcoming episode of season 10 of Smallville features Booster Gold and Blue Beetle and here below is the very first image newly released on the web. Now first impressions may lead you to think this is a still from Big Bad Beetleborgs or even Power Rangers, but no, it's Smallville. On April 22 in the U.S, Smallville introduces Booster Gold, "a glory-seeking showboat from the future," says Days of Our Lives star Eric Martsolf, who plays the DC Comics cult favorite. "The episode takes place in Booster's very early stages where he's at his conceited best, where he believes he can do whatever he wants. He's gonna stay for the photo op and bask in the glory of his heroic efforts." Booster's behavior shocks Clark (Tom Welling, who also directed the episode), who is struggling to create a more mild-mannered secret identity to balance out his life as a the Blur. "He wants to stand in the back and not be a glory hound," Martsolf says. "They are completely opposites of one another." Which isn't to say that Clark doesn't learn something from his newest super friend. "The one thing Booster does prove to Clark is that people want to look up to this guy," says Geoff Johns, the hugely popular comic book writer who penned the episode (and previously wrote Smallville's introductions to the Legion of Super-Heroes and the Justice Society of America). "They want to be inspired, and no one's doing it for them." That's not to say that Booster's methods are 100 percent legit. "This guy always shows up at the last second to make a dramatic rescue, which is really suspect," Johns teases. One of those people he saves is teenager Jaime Reyes, who comic book fans know as another DC superhero, Blue Beetle. The episode shows his origin story: A mysterious high-tech scarab turns him into a super-powered arsenal. Although Booster Gold and Blue Beetle are buddies in the comics, this story will initially show them at odds. "This is the first time the scarab comes on to Jaime, so it creates a bulkier, more dangerous armor," Johns says. "Ultimately he'll gain more control over the scarab and it will become more friendly looking." 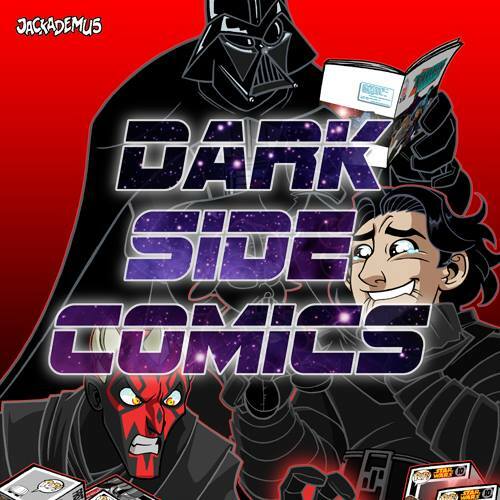 In keeping with Booster's history of both punches and punchlines, Johns promises viewers will "laugh out loud... Sometimes you laugh with Booster, sometimes you laugh at him." And with only a few episodes of the series remaining the story ties into Clark's ultimate transformation. "It's rich in comic book history," Martsolf says, "but it's also a vehicle for Clark to start to embrace the marketability of Superman and what he could potentially be."